Check this page often to learn about the classes and events we offer to our patients and to the community! Please also “like” our Facebook page www.facebook.com/drheidib for the most up-to-date details about what’s happening at the office each month! 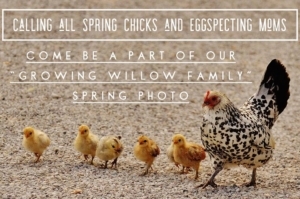 We thought it would be so fun to gather all of our “egg-specting moms” and just hatched “spring chicks” of Willow Wellness and take a beautiful group photo! 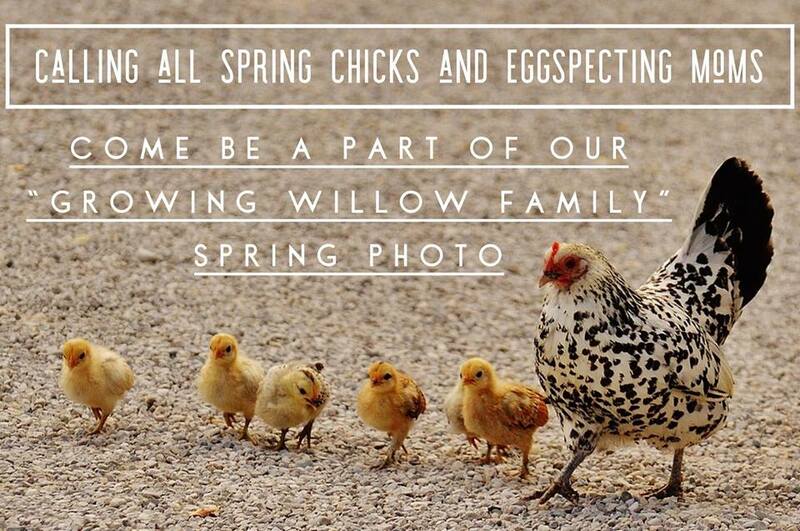 Meet on our back patio (weather permitting). You will receive a digital copy of the group photo and will also get a digital copy of a portrait photo of yourself/your little one!